LEARN HOW PARTNERSHIPS BETWEEN ORGANIZATIONS AND WAC TEAMS WORK! Shadhika works with young women in India ages 10-24 in order to address the gender inequality that is huge and persistent in Indian culture. We invest in education, empowerment, and economic self-sufficiency so that the young women can realize their aspirations. We also work with young men to educate them on the importance of respecting women and girls. Marshall Direct Fund runs a modern day pen pal program called "Global Kids Connect" which facilitates meaningful dialogue between students and teachers in Pakistan and the United States weekly over the course of half an academic year. Scanned and uploaded letters, photos, and video are shared on a secure blog. Curriculum segments include themes about family, school, leadership, peace, culture, and geography. GlobalMindED is an educational and research non-profit organization committed to creating a capable, diverse talent pipeline for first-generation-to-college, at-risk and low-income students and job seekers. By incorporating research and implementing action based on our results, GlobalMindED's mission is to improve access and equity in K-12 and higher education through improved graduation rates and sustainable careers. US-Brazil Connect believes that our greatest challenge as an organization doing leadership, education, and development work on an international scale is in the building and maintenance of strategic partnerships. We would like the students participating in the World Affairs Challenge to help us research solutions and take action on how we could more effectively engage partnerships with governments, the private sector, and civil society. Please reach out to first to Hope Mukai - WAC’s Program Director - before contacting this partner for your WAC project. Sustainable Schools International (SSI) is a non-government organization that works to bridge gaps in access to education in Cambodia. Our self-sustaining model improves government schools and builds up community resilience in rural areas. SSI provides direct support to eight rural schools and higher education scholarships to their graduates. SSI uses a give-back model empowering students and alumni to start social enterprises and lead community service projects. Women in Kind (Wink) focuses on women, their needs in business and in the business of life. Wink works to identify and anticipate what women needs to be successful at work and integrate those things into the workplace. That means thinking about how to make women’s lives easier, to remove challenges and obstacles in their path to professional success. The Laboratory to Combat Human Trafficking is a leading 501(c)3 nonprofit organization in Denver, Colorado working to inform social change to eliminate human exploitation. Human trafficking is a severe form of exploitation of another person involving force, fraud, or coercion for labor or commercial sexual purposes. WAC students could help LCHT to develop an age-appropriate, locally relevant, anti-human trafficking training, and help deliver it to fellow students. Walking Tree’s mission is to inspire students to become curious and compassionate global citizens by taking an active interest in the world. Collaboration and travel discounts for WAC participants interested in engaging educators and students with hands-on experiential immersion programming and opportunities. Blue Star Recyclers exists to create meaningful jobs for people with autism and other disabilities by ethically recycling electronics. Blue Star Recyclers meets the highest environmental standards in the industry and is a certified e-Stewards® recycler. It can provide WAC teams with onsite tours (Colorado Springs, Denver, and Boulder facilities), classroom presentations, and mentoring via email. ALIGHT is a 501(c)(3) startup nonprofit based in Colorado that connects human trafficking survivors to an army of lawyers through innovative technology. Our team is comprised of a dedicated group of professional volunteers with expertise in law, technology and human trafficking. WAC teams are invited to participate in their ALIGHT Ambassador of Light Program. The mission of World Child Cancer USA is to improve cancer diagnosis, treatment and care for children, and their families, across the developing world. It’s vision is a world where every child with cancer has equal access to the best treatment and care. Educating the broader community regarding this issue is the first step towards solving it. The Road to Hope builds self-sustaining communities through partnering with individuals and organizations in the U.S. and Haiti to learn from each other and build mutually supportive relationships. It helps children, families, and communities break the cycle of poverty by empowering people of all ages to dream, aspire and achieve. 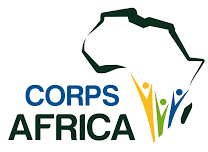 CorpsAfrica is a non-profit organization that recruits and places ambitious Africans in remote, high-poverty communities in their own countries. These men and women live in the community and initiate sustainable projects that fulfill key needs and whose impact and success can be carefully measured, all through a transformative volunteer experience. WAC students have the opportunity to be connected to current and alumni CorpsAfrica volunteers who have worked on development issues at a grassroots level in communities in Morocco, Senegal, Malawi, and Rwanda. CareerWise Colorado offers modern apprenticeships that provide students with multiple pathways to success. Youth apprentices earn a wage while receiving hands-on work experience where they can apply their high-school classroom learning each week. CareerWise looks to the Swiss apprenticeship system for inspiration and has borrowed elements of that model to adapt in Colorado. WAC students are invited to check out their resources and apprenticeship programs. EWB-USA builds a better world through engineering projects that empower communities to meet their basic human needs and equip leaders to solve the world’s most pressing challenges. EWB-USA’s vision is a world in which every community has the capacity to sustainably meet their basic human needs. WAC students may contact EWB for mentoring, presentations about EWB’s projects and guided development-themed student projects. The Denver for CEDAW Campaign is spearheaded by The United Nations Association Denver Chapter and Supported by many local allies. The Convention on the Elimination of all forms of Discrimination Against Women (CEDAW) is a set of universal standards for eliminating gender discrimination, adopted by the United Nations in 1979. Often hailed as the international Bill of Rights for women, the aim of CEDAW is to ensure the rights of women and girls around the world. UNA-USA/Denver Metro Chapter is dedicated to informing, inspiring and mobilizing the Denver community to support the ideals and vital work of the United Nations. WAC participants are welcomed to reach to UNA Denver to obtain resources and information on how to advocate for the UN Sustainable Development Goals (SDG) in their local communities and how to support UNA Denver. UNA Denver and WAC are working together to host and promote the SDG Quarterly Series in Colorado. Empowerment International (EI) mission is to break the cycle of poverty before it is transferred to yet another generation, by building more educated and productive communities. Its vision is to enable every child to go to school and achieve the level of education they desire. Empowerment International is interested in developing long term partnerships, as well as have US students participate in cultural exchange experiences with EI’ children and communities. 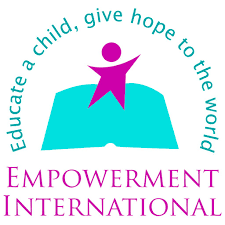 Empowerment International is also interested in doing some collaborative projects with WAC and EI’ students in Nicaragua. Located in the heart of the Santa Fe Arts District, Museo de las Americas is the premier Latin American art museum in the Rocky Mountain region. Museo de las Americas is dedicated to educating our community through collecting, preserving, interpreting and exhibiting the diverse arts and cultures of the Americas from ancient to contemporary, through innovative exhibitions and programs. GlobeMed is a national, nonprofit organization that consists of 60 university-based chapters. Each chapter is paired with a grassroot organization in one of 21 countries throughout the world. The long term partnership between the chapter and organization enables students to gain a better understanding of the needs of their communities and the knowledge needed to make lasting improve-ments to the quality of life of those living in developing communities by helping them become self sustainable. 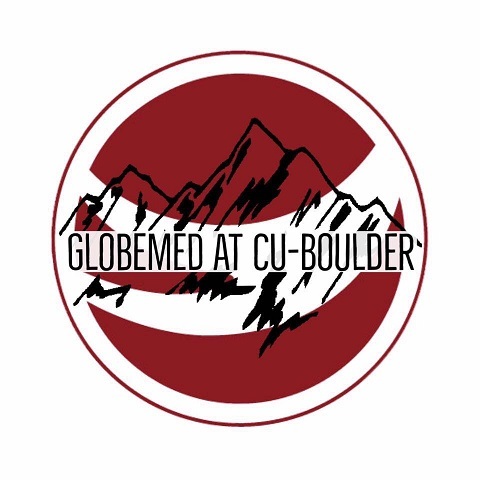 The GlobeMed chapter at the University of Colorado Boulder is partnered with Himalayan HealthCare, a nonprofit based in Nepal. It promotes fundraising and on-site events in Boulder in order to contribute to the promotion of quality of life in the rural areas of Nepal. Kimetrica’s mission is to increase the effectiveness of spending in the social sector. It provides software, research, survey, and modelling and impact simulation services for evidence-based decision making and learning. Kimetrica works with governments and non-profit organizations to increase the impact and efficiency of their social investments, enhance accountability, manage critical risks, and build donor or taxpayer confidence. Headquartered in Colorado and founded in 2010, Solid Ground Africa (SGA) was born from a passion to help some of the most vulnerable among us: young children without families and the women who have devoted their lives to supporting them. Solid Ground for Africa is working to partner with existing orphanages in Africa to help them develop independent and sustainable systems to provide better and more reliable sources of food, shelter, medical aid, education and financial stability. NGAO is a nonprofit organization formed with individuals and like minded community organizations to facilitate the community in realizing its own potential to initiate sustainable change using the Asset Based Community Development (ABCD) Model. Through community Conversations, it brings the communities to its consciousness in terms of the assets, strengths, capacities and opportunities that lie unexploited within them. NGAO serves individuals (especially youth) from families in Kenya. In its approach, NGAO targets families and tries to support the whole family to deal with what ties them to dilapidated conditions so that they may have choice and a life they can have reason to value. Kenya is home to the second largest slum in Africa (Kibera). Apart from Kibera, for every affluent estate in Nairobi, there is an adjacent informal settlement or slum. Solar Energy International (SEI) was founded in 1991 as a nonprofit educational organization. Its mission is to provide industry-leading technical training and expertise in renewable energy to empower people, communities, and businesses worldwide and it envisions a world powered by renewable energy. SEI works cooperatively with grassroots and development organizations in the Americas, Africa, Micronesia and the Caribbean. SEI staff have delivered services to the Pan American Health Organizations, Non-Governmental development organizations (NGOs), foreign, national and state governments, universities and individuals seeking the benefits of renewable energy. Since 2012, Freshwater Project International has supported the implementation of community-led water, sanitation and hygiene projects in Malawi, Africa. Through partnerships with local communities, other health-focused NGOs and government agencies, its mission is to provide clean water, safe sanitation and hygiene information to the people of Malawi through three program pillars that include the provision of WASH in villages, schools and health centers. Real World Solutions (RWS) provides practical training and coaching in intercultural awareness and competence for professionals and organizations in business, health care, education, and community services. Understanding culture and its impact on behavior can make the difference between success and failure in working to incorporate “change” in a community with a different cultural perspective. RWS will work with teachers and WAC students to develop effective, culturally-relevant approaches to working better with local and global communities. Project XITE (Innovation, Technology and Entrepreneurship) is a cross-disciplinary community at the University of Denver that supports the next generation of entrepreneurial thinkers through collaborative events, experiential programming, and strategic global partnerships. Project X-ITE serves as a hub for transforming ideas into projects, products and businesses — as well as a headquarters for experiential learning focused on entrepreneurial work. Rise Above Colorado was created by a dedicated and passionate team from the Colorado Meth Project who are committed to helping teens learn about drug abuse so they can make empowered, positive, smart choices -- to lead the healthy life they deserve. The Apprentice of Peace Youth Organization engages youth and young adults in a 16-week-program around the L.A.W.S. of life which are Leadership, Arts, Wellness, and Skilled Trades. Through embracing the Apprentice of Peace philosophy, we encourage youth to be their best by following three principles, The Realization, The Committed Effort, and The Accepting Principles of Change. Once they have this when then work with youth to develop a G.P.S. or goal, plan, and strategy for how they will become their best self for themselves, the community, and the world.